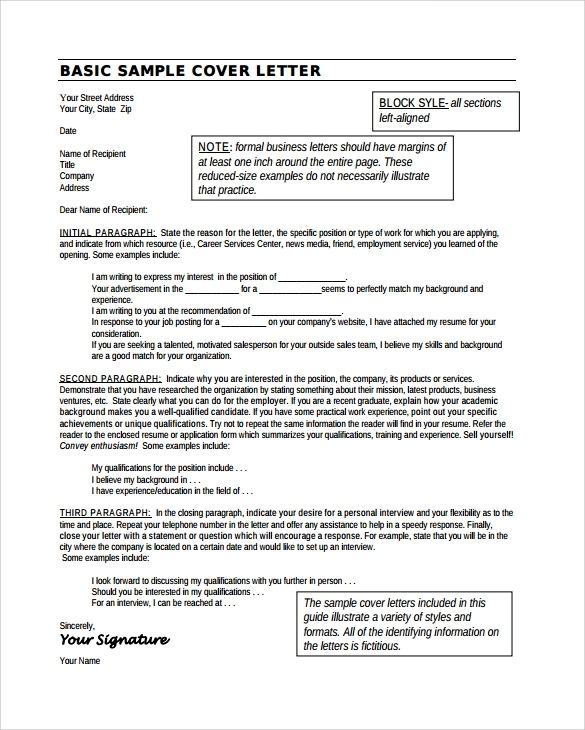 At times, just sending a document is not enough to explain the intent and purpose of it and there comes a need of a cover letter, which is attached to the document for explaining the content more accurately. Out of the two documents sent, that is job application and cover letter, the cover letter is considered extremely important as it showcases the credentials and interest of a candidate in the open position. 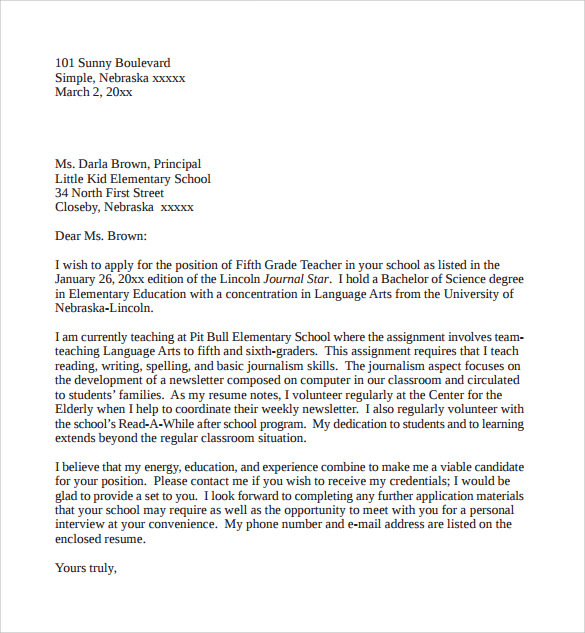 Most of the people write an impressive letter by referring to the cover letter example available on the web. 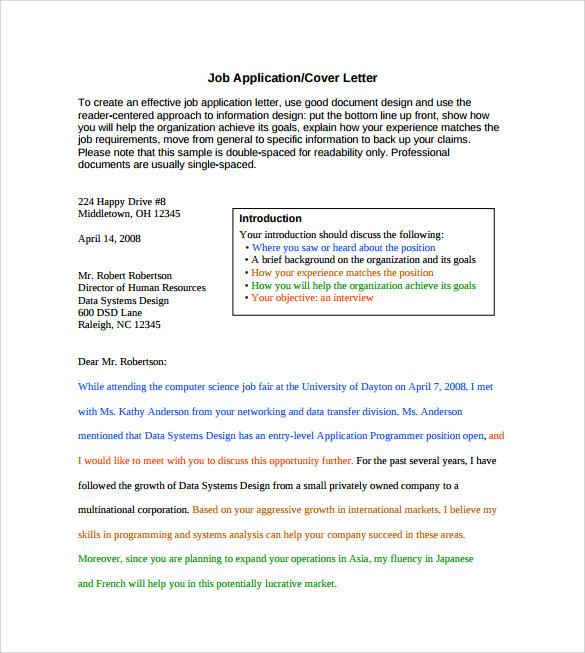 A cover letter should be entirely focused on the job you are applying for and based on the type of job you should choose from the variety of the cover letter. 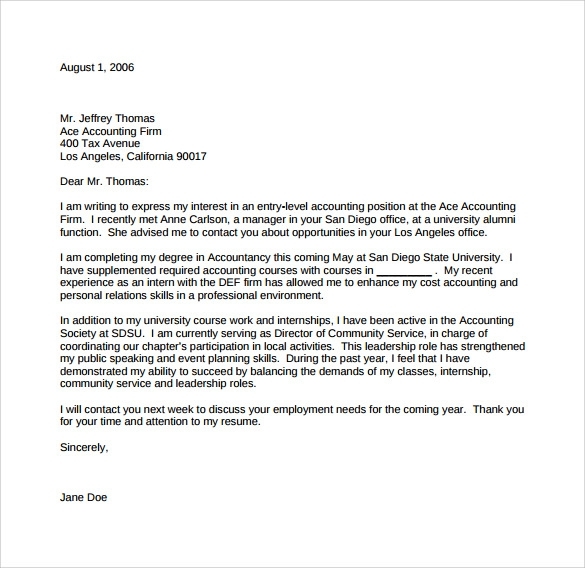 You should know that are there is a different type of cover letter with different uses and purposes. 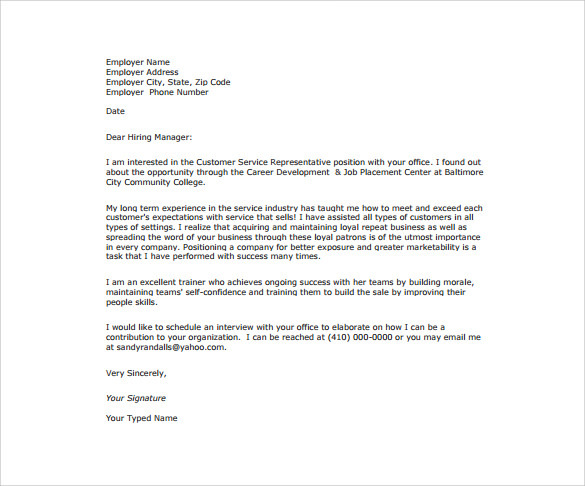 Below are few types of cover letters whose samples are readily available on the internet. 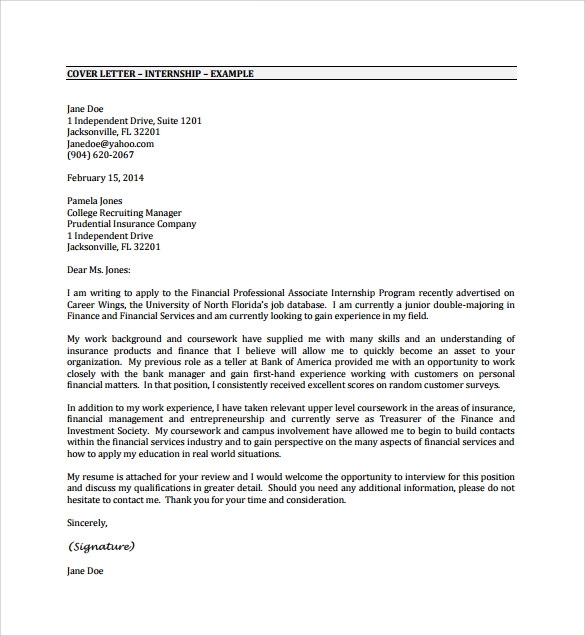 It is a cover letter sent along with the resume for the job application of the available position, which is been advertised or recommended to you. 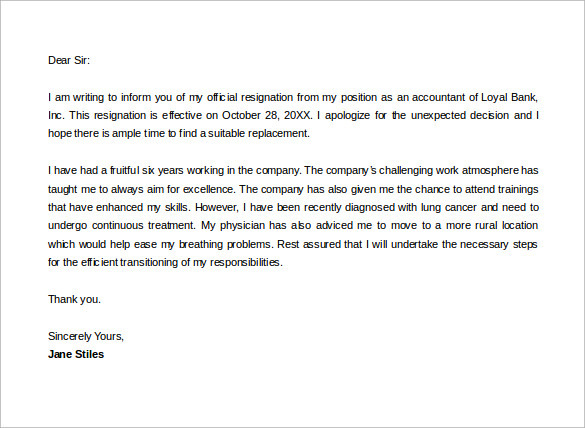 This cover letter should be formatted in a proper and professional way. It should include proper closings and salutations. 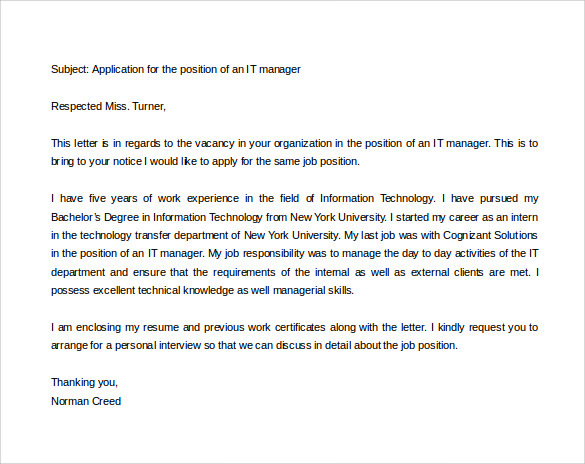 This type of cover letter is consists of the inquiry related to any job openings that you may be qualified to acquire. It is sent when you know a company is hiring but you are unaware if there is any specific job suitable for you. 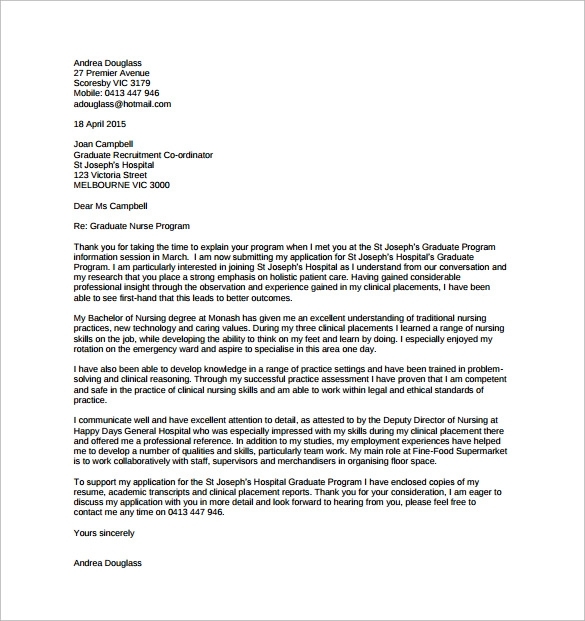 This letter can function as the referral letters, network letters or letter of introduction. It is provided to recommend yourself to a company or industry based on the past experience that you have from other work. It can only be written by another individual who can recommend you the open position. 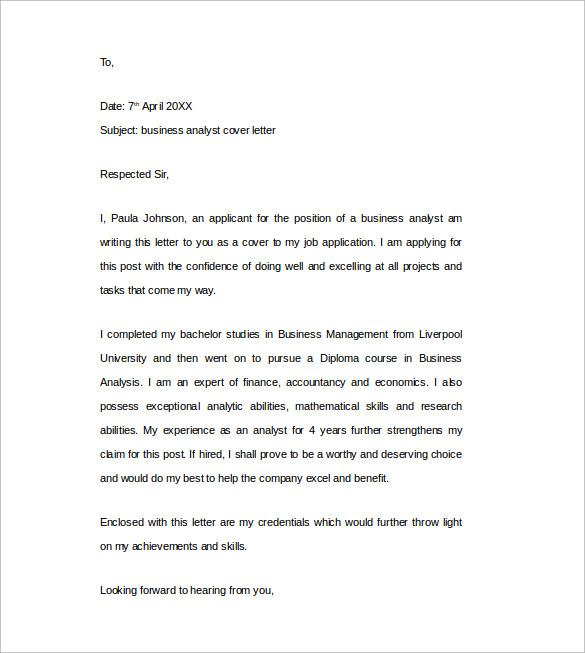 A professional cover letter is used to elaborate the information mentioned in the resume. 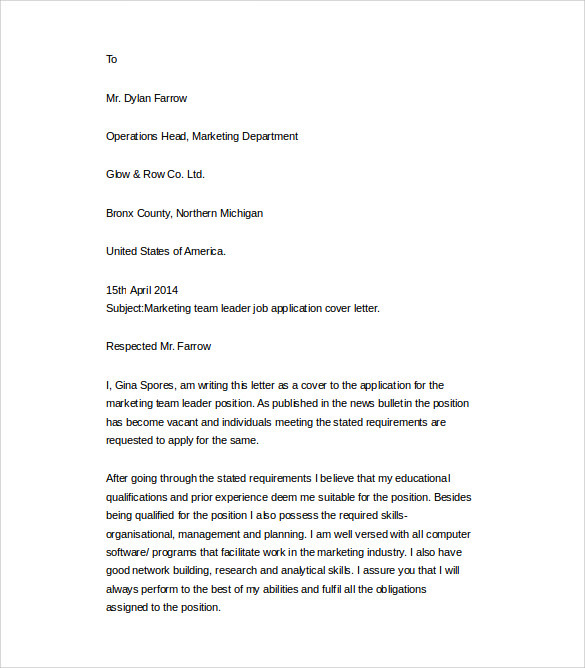 The use of proper cover letter structure lets you cover the gaps in your resume and set a good impression on the prospective employee. 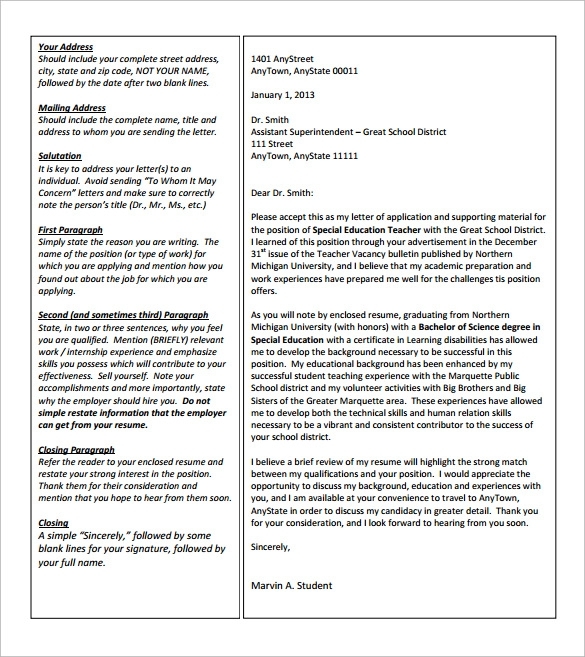 Using good cover letter examples you can market yourself the best option for the employee. It is clear that cover letter is used to make your qualifications, knowledge and skills look different and better than the other candidates. Plus, it gives you a closure with the employee and convey your interest in working with the particular company. 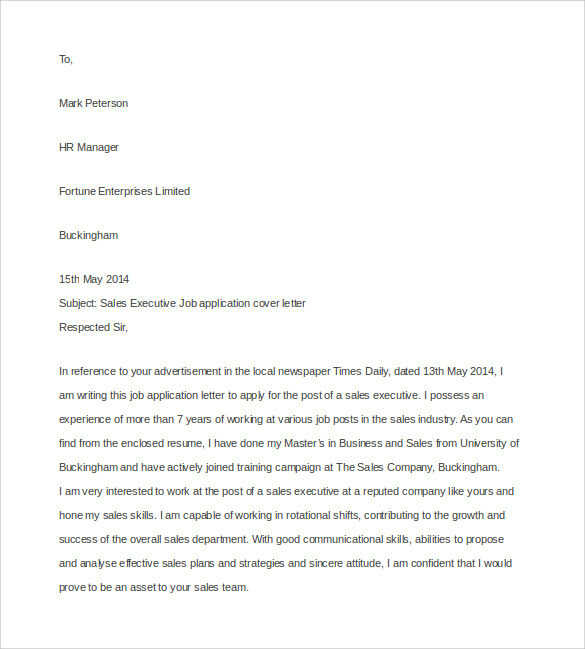 The purpose of the job application cover letter template is to give you more space to personalise your message to the interviewer or employer. In fact, it mainly aims at bringing your name in front of the decision maker, so the selection is in your favour. It may seem simple to write a cover letter but it can be a difficult task if you are unaware of how long should a cover letter be? 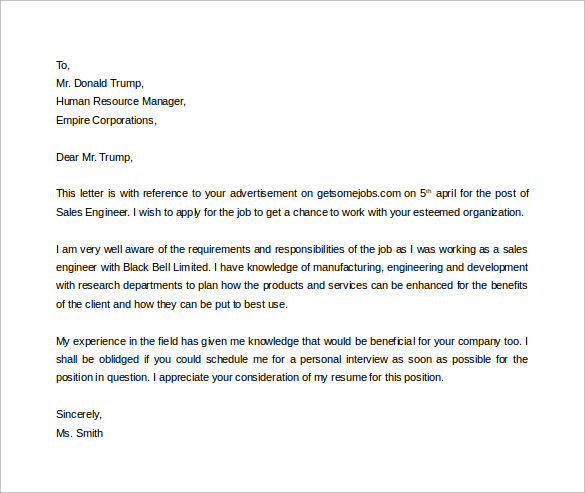 Or how to make cover letter? 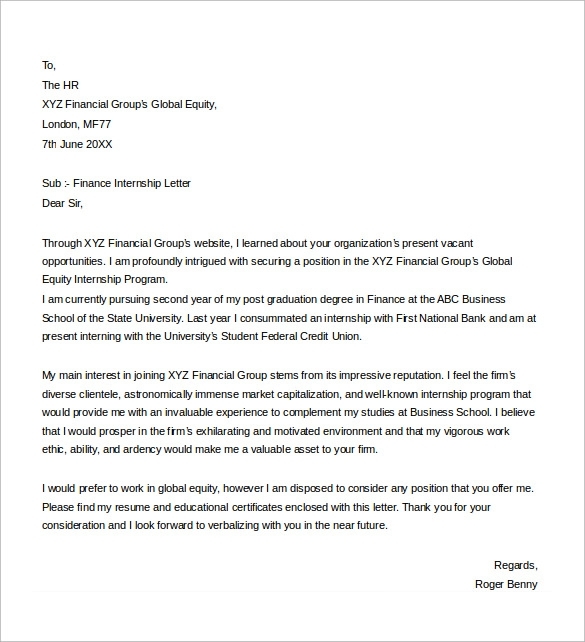 If you browse through the internet, you’ll come across a number of formats for the cover letter and you can choose one based on your requirement. 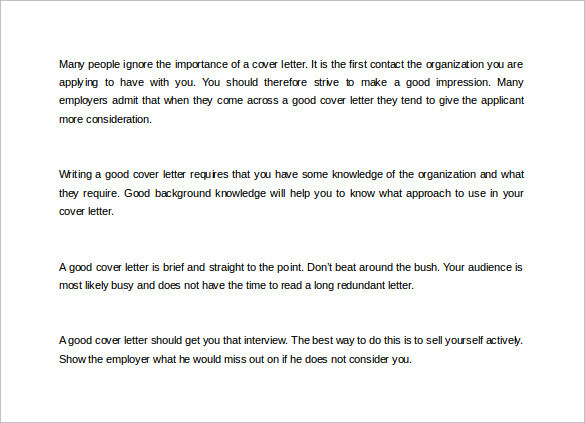 However, following the basic steps mentioned below you can create an impressive cover letter all on your own. 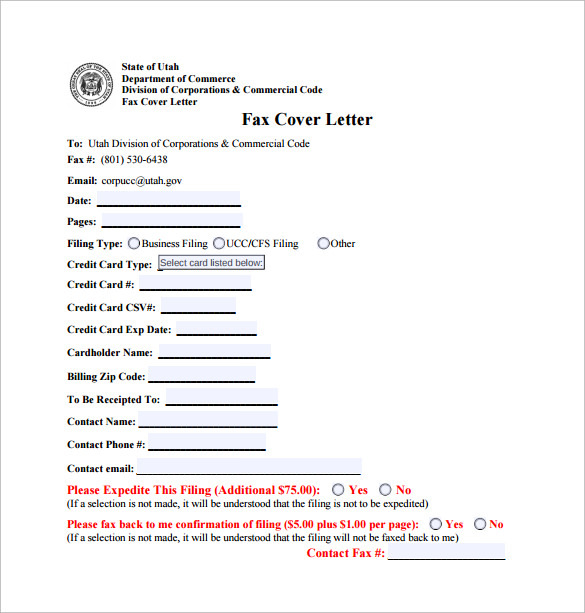 To begin your cover letter, include the employers and your contact information on the top. Next, address the employer or hiring manager with their name, for which you can call and inquire to the company. The next thing you have to focus on writing is your skills, abilities and experience that should be related to the job description you are applying for to make the employer believe you are the ideal choice. 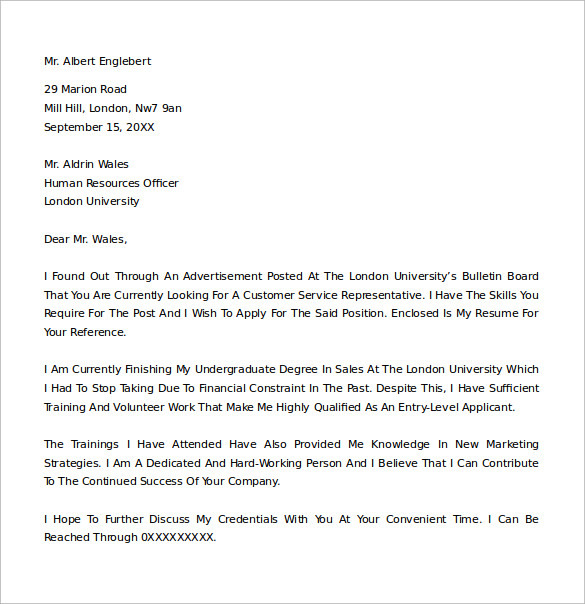 A cover letter should be short and simple so that it says up to the point as well as do not take much time of the reader. 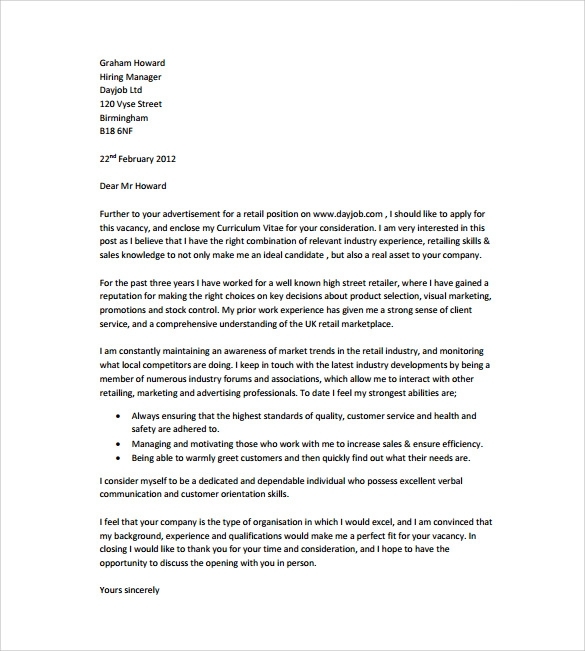 In the conclusion paragraph, inform them that you look forward to meet them and be honoured to get interviewed. 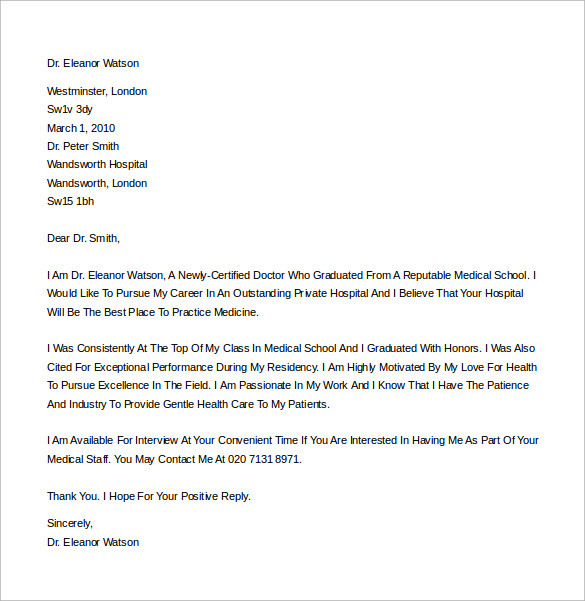 You can avoid all the trouble of writing the cover letter from the scratch just by using the printable samples available that are absolutely free downloadable. Moreover, they come with the editable feature in popular file formats such as word, pdf, etc, so you can always modify any section based on your need and requirement. Research about the open position before writing down the cover letter as it should solely be based on the company’s requirement and your ability to fulfil that requirement. Always just, send one cover letter along with your resume, so it can be used for further reference if the interviewer wants to see more information than just your contact details. Be specific on the subject of the cover letter, after all, no one would be interested to read unnecessary content in the cover letter. Pay more attention to the first and last paragraph of the letter. There are more chances only these two paragraphs are given more importance and you wouldn’t want to miss any opportunity to have an impression on the reader. 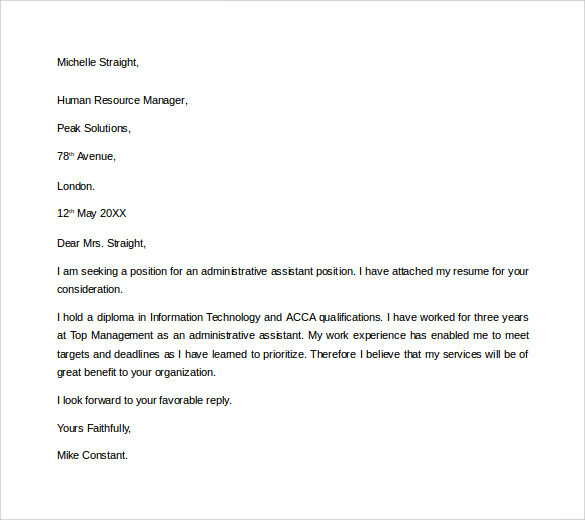 Keep the structure of the cover letter neat and clean to give proper visibility to every content imprinted on it. Don’t oversell yourself, it is good to state your excellent skills, capability and talent but over portraying them as it can create a negative impression. It is better to stick to the skills that say how your expertise will benefit the company. 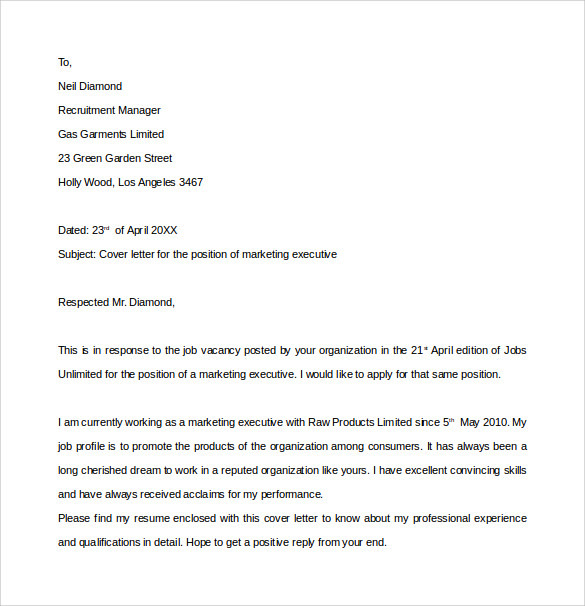 Do dedicate few lines of your cover letter in the appreciation of the company’s work over the years but try to keep the content original for better effect on the employer. 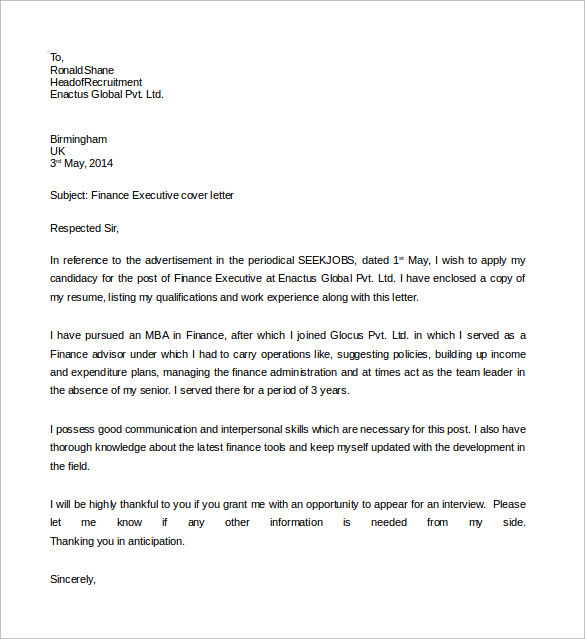 Don’t make a mistake, check your cover letter for spelling and grammar mistake before finalising and printing it. Don’t rewrite your resume, since you have already provided your CV, it should focus on only the highlighted points and explain it in the edited version.